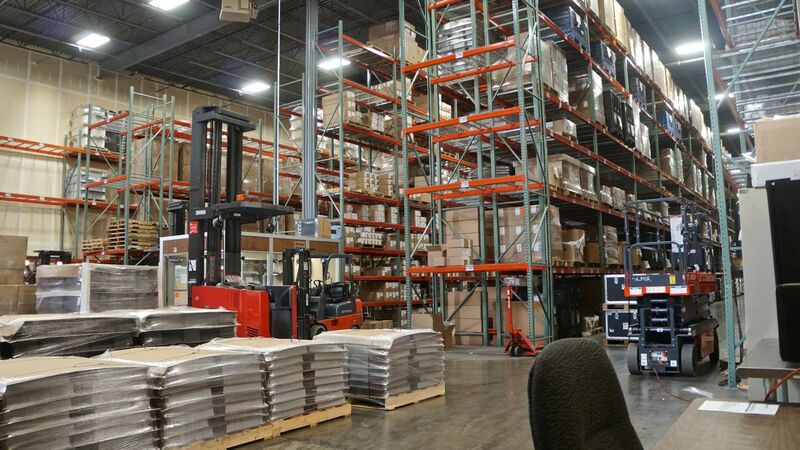 With an additional 1,000 pallet positions over the old warehouse, a narrow aisle system would fit the current warehouse needs on a smaller budget than VNA. When the space fills up and more space is required, a second layout of VNA is achievable simply by moving the aisles closer, adding racking in the new space, and swapping forklifts. SJF designed and provided drawings to MMD, and the project was underway. 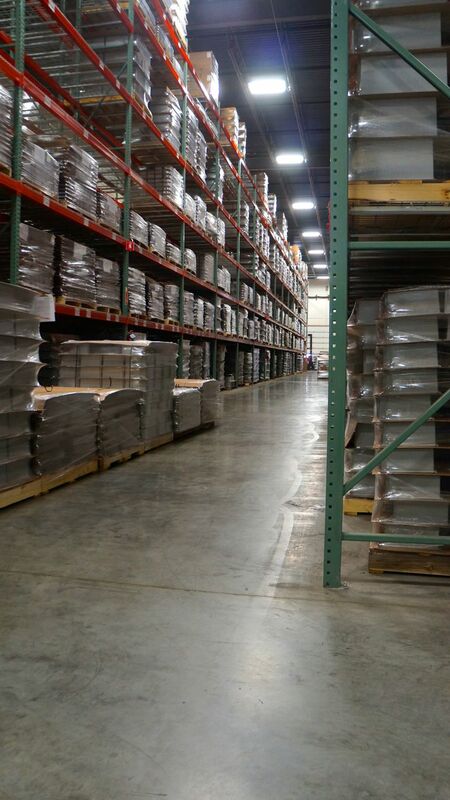 Our crews installed new rack and took down the old racking in one week. The old rack was purchased by SJF and used as a credit on the new racks. 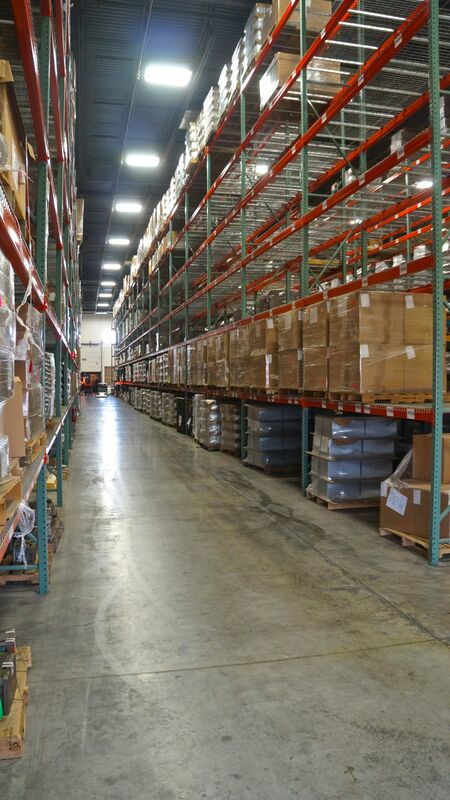 Looking towards the shipping doors in MMD warehouse. 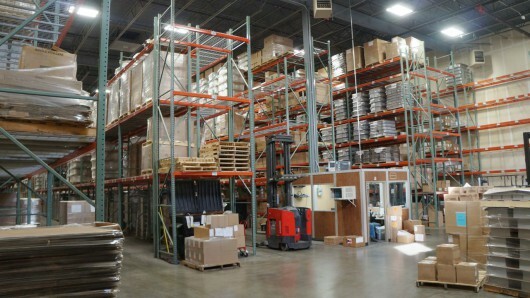 28′ racks allow maximum storage in a building with 32′ clear.